In the mid-50s, the conception of Surallah already started with the defunct Land Settlement Development Corporation (LASEDECO). The National Resettlement and Rehabilitation Administration (NARRA) proposed for the approval of the townsite subdivision of Banga Base Compound otherwise known as TS 1019. The proposal was approved by the National Planning Commission thru Resolution No. 167 on December 15, 1957 despite opposition from the Municipal Officials of its mother town, Banga.The formal proposal of creation was sponsored by then Congressman Salipada K. Pendatun in 1959 thru House Bill No. 2023. Republic Act 3420 creating Surallah as a municipality was approved on June 15, 1961 but later it was amended by Republic Act 3664 on June 22, 1963. The new town of Surallah was officially inaugurated on September 20, 1963 with its first set of appointed officials, namely: Barrio Lieutenant Jose T. Sison of Libertad as Mayor, Datu Kapok Ambalgan as Vice Mayor; Councilors: Jose P. Dajay, Felimon Aaron, Leonardo Ampoyas, Belen Capumpue, Angelino Locsin and Mamerto Orbasayan; Godofredo Silva as Municipal Secretary, Azarias Jugador as Treasurer, and Mariano Mondragon as Chief of Police. 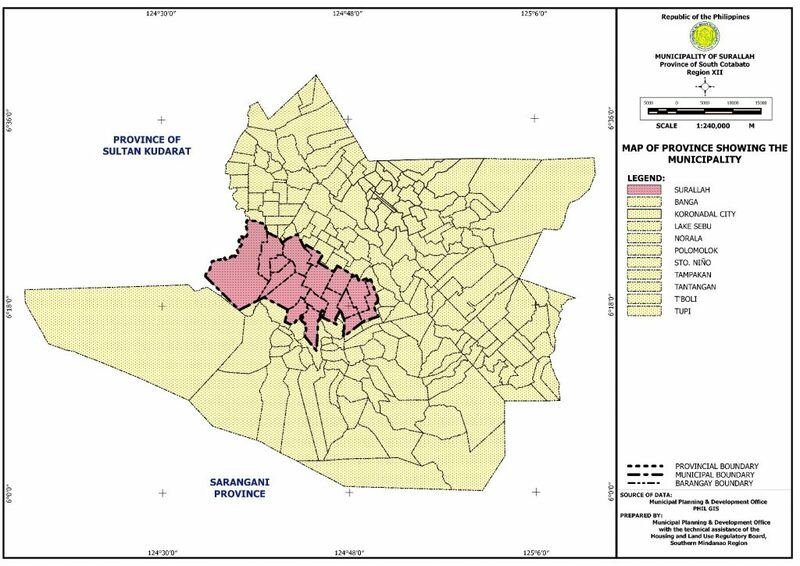 Surallah started as 6th class municipality with 26 barrios and a population of 26,162 settling in a vast land area of 97,000 hectares. The rapid growth of its cluster barrios made the sprout of the new towns.The creation of the municipality of T’boli in 1974 reduced the total area of Surallah since six(6) barrios were integrated into them. Subsequently, three (3) barangays were created from their mother barangays, hence, the municipality has 23 official barangays. Surallah was reclassified from fifth class to third class municipality on July 1991. 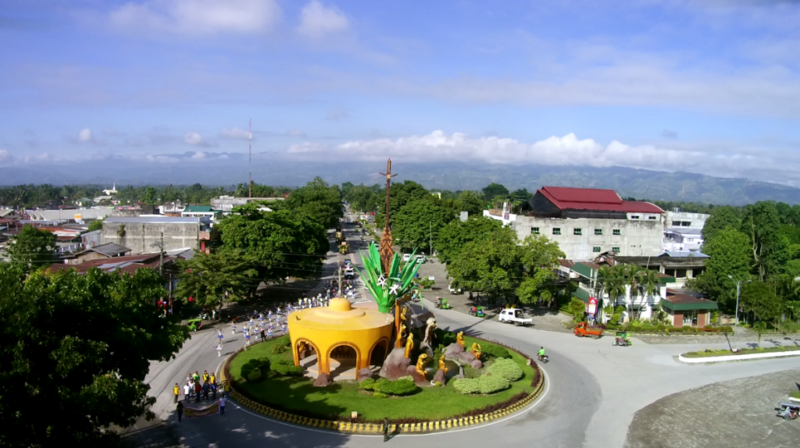 It is considered as one of the most progressive municipalities in the province of South Cotabato. Subsequently it became a second class municipality in 1993 and later it was reclassified as a first class municipality by the Department of Finance in July 1997.